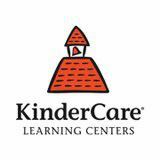 KinderCare Learning Centers provides a network of child care and child education in the United States. The company was founded in 1969 in Montgomery, Alabama, United States and is owned by Knowledge Universe. The headquarters of KinderCare is in Portland, Oregon, United States. The company provides program and curriculum for infants, toddlers, preschool children, and for parenting purpose. The company also provides kindergarten and prekindergarten courses and also for 6 months old baby. They also serve military families. The learning center is accredited by National Association for the Education of Young Children and also other associations have accredited KinderCare Learning Center. There are currently 1 consumer reviews about KinderCare available. Share your review. My three children attend the KinderCare on Eagle View Dr. in Indianapolis, IN. I've tried for a while to over look the things that have been bothering from the lack of school age summer curriculum to the shouting teachers. This past couple of weeks have been ridiculous!! I've come in to the school age and toddler room being over ratio. There is no management to answer my questions and when I ask the staff what time management is supposed to be in they aren't!Last week I came to pick up my children early to find the two and a half year old and three year old classes sleeping in the same room.I counted the children and there were 22! This morning I dropped my children off to find what looked like a mix of two year old through school age children in the front room with one teacher. When my boyfriend dropped off our son later in the morning there were 15 children in the toddler room with 2 teachers!! After the bed bugs were handled poorly I started looking for new child care. Not to mention walking in too heaping smelly trash cans and bathrooms reeking of urine!! I really love my children's teachers but after my girlfriend told there was mold in the infant room ( where both of our children get dropped off) I have to find a new place for my children that's both safe and clean!! Please take a note that you are about to post a public review about KinderCare corporate office on CorporateOffice.com. This review will be public, so please do not post any of your personal information on this website. If you would like to contact the corporate offices of KinderCare, please use their contact information such as their phone number, website, and address listed above to contact them. However, sometimes staff from KinderCare headquarters do read the reviews on this website.